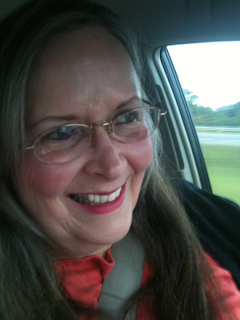 Today I welcome Linda Hays-Gibbs to Spinning Pearls. 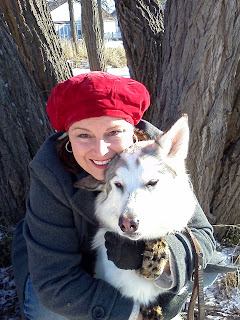 Linda is the author of a paranormal regency romance called My Angel, My Light as Darkness Falls. Here's what Linda has to say to my inquisitive questions. A. I was reading about the last battle with Napoleon and how gruesome it was. I thought how awful for the people waiting for loved ones to return to them and about the many that did not return. I wondered if I loved someone that was in that battle how I would feel. Of course I had to add a vampire and an angel plus a few others for excitement. At first I started with the battle scene but I decided to start on a happier note. I love Regency Romance so I have a young girl at a ball and went with the idea from there. Q. The title you have chosen is an interesting one. Which came first, the story or the title? A. The title came first and my nurses at my doctor’s helped me with the title. The title has morphed from “Darkness” to “When there was Darkness” to “As Darkness Fell,” which reflects the horrors of the battle. Pru is deathly afraid of the dark too. I had to give the girl a presence in the title and she is an angel as well the real angel who is in the book. Pru has her innocence as her light, hence, “My Angel, My Light As Darkness Falls.” I must confess it was an on-going process but I started with a part of the title and an idea. Q. Can you suggest three adjectives that apply to your protagonist? A. Innocent, naïve, overcomer, (progressing to maturity) She is a work in progress. Q. How long did it take you to write your book? A. I thought I was finished with it a couple of times but it was never finished. I think three years and there was still so much left to do to it. Q. What is your favourite scene in your book? A. When Pru is trying to decide about marrying the Duke and he makes her mind up for her. A. Stopping my imagination from going in too many directions at once. I wanted to add so much more to the story but I was afraid it would make it too much so I had to settle down. Q. Did you know the whole story in advance? A. Heavens no! I wrote a skeleton and then changed it several times. I knew where I wanted to go but it was difficult getting there. Q. Have you any plans for a sequel? A. Yes, I think with four sets of twins I have lots of places to go. I really would like to write about the others. It would be in the Regency period too and that is my ideal time. I have a real zeal for comedy too. I love the horror or gothic tales and romance with a little comedy to ease the way. If Linda's answers to my questions have whetted your appetite for angels, demons, vampires and Regency Romance, check out this link to read more or to purchase Linda's book directly from the publisher at Eternal Press. My Angel is also available from other venues around the web. Welcome to Dale Harcombe who has answered some curious questions about her book Streets on a Map. Thanks Sally for having me here today. Q 1. What came first; concept, character or title? A. Character is always my starting point because everything stems from the character as to what happens and how the story evolves. Character is the most essential aspect to get right. What we remember most from the great books we have read is not usually plot or beautiful writing but the characters. One young woman told me she saw a lot of herself in Abby. People need to be able to relate to the characters. Perhaps that is what prompted Laila, the other major character in Streets on a Map, so if people found because of age, experiences or outlook they did not relate as well to Abby, they would relate to Laila. Interestingly, from readers’ comments Laila is often the favourite character – the person we’d all like to know or have as a friend in real life. Fiction is, after all, to some extent based on real life. In fictional characters we see people who may reflect character traits we ourselves have or wish we had. They may say the things we are thinking but would never say. They might start off based on traits of those we know. animal in mind for a template? A. When I sat down to write about Abby I had a picture in mind of a young woman I saw once in a tavern in Centrepoint. She sat down at the piano stool next to the pianist who shuffled over for her as she started to sing. It was like she couldn’t help herself. She just had to sing. I had no idea of the woman’s name or anything about her but she was my image for Abby. She lived in my head for several years before the rest of the story of Streets on a Map came. She told me her name was Abby. Not Abigail but Abby. Looking back, (hindsight is great thing,) I think Laila started albeit subconsciously with a visual image of my mother with the chestnut hair and her defining trait of generosity. But in others ways Laila is very different. I tend not to stick too closely to a person I know as it is too limiting. A character may be made up off several different traits and mixtures of people, or even with desires that are opposed to each other. That makes for a complex character. The interesting thing about writing is you can start from a person you know and suddenly the character deviates from the original model and is imbued with a personality and life all their own. To the writer the character needs to be real, as though they are in the room with you. That is the only way they will ever become real to the reader. Though Pearl is one of the minor characters of the novel, she is the type we have all met. I’m sure you’d find a person like her in any small town or neighbourhood. People are fascinating with their contradictions. Pearl is one example of this in Streets on a Map. There are others. Q.3. Does your protagonist have a pet? If so, what? A. Early on in Streets on a Map Abby adopts a white pup of indeterminate mix. Her best guess is some sort of wire haired or foxie terrier cross. She names him Hermit because of his tendency to, ‘sidle sideways like a crab.’ This is a result of being of one of a litter of pups bashed and left for dead on the side of the road. From her quick response to the newspaper article we see Abby is not only impulsive, she is a sucker for the hurt and helpless. Hermit has one fault as far as Joel, Abby’s husband, is concerned. He is a one woman dog and he doesn’t like men. He barely tolerates Joel. Q.4. When writing dialogue, do you "hear" it in your mind's ear? A. Yes, most definitely. Writers are the only people who can have people carry on conversations in their head or out loud with no-one else in the room and not be thought to be suffering from a mental problem. As I am writing, and later when revising, I speak the words aloud. That makes it easier to pick up if anything doesn’t work or ring true to the character and their interests and speech patterns. Readers should be able at all times to tell who is speaking by their speech patterns and the words they use. Just as not everyone in life sounds the same, neither should our characters. For example when I listen to my husband tell a story he has his own unique way of phrasing things. We might be on the same wave length but we have different ways of getting our point across. Dialogue should sound true to life. It is not true to life in the sense that if you taped an actual conversation you would find it riddled with waffle, pauses, 'um' and various other expressions. Much of what people talk about can be trivial. Dialogue is like real life without all the boring bits. It must always serve a purpose, to help the reader learn more about a character or situation, or move the action forward and not be idle chatter. Q.5. What are three things you do on a regular basis to promote your book(s) your author "brand" or reading and writing in general? How successful do you find these? 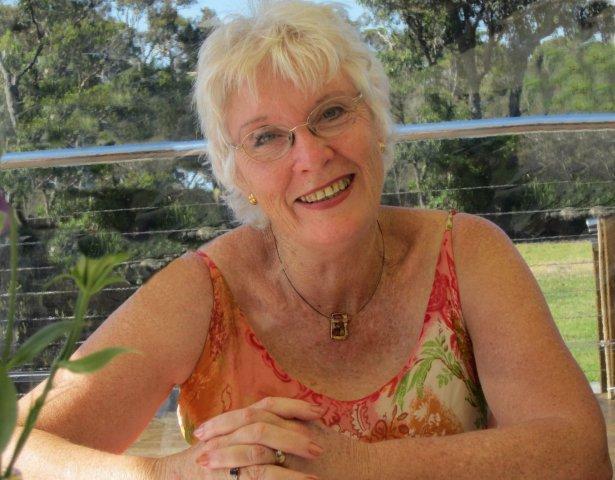 A. I have a website which lists all my books and tell readers a little about me. You can find it at www.daleharcombe.com I hope to get to and update it a little soon. Time is as always the enemy. I have a blog Write and Read with Dale http://www.livejournal.com/users/orangedale/ where I talk about writing and writing related matters, and share book reviews or anything else that captures my interest. I enjoy being asked to do interviews like this one. Thanks again for inviting me to your blog, Sally. Other times I might do character interviews which I have done for both Laila and Abby individually at other sites at the request of those bloggers. Plus I leave comments on other blogs so it may introduce me to readers of those blogs. Because I write for both adults and children I am part of several online writers groups which support, share information and experiences, and often recommend books to read. Sometimes any of these can result in sales but like anything it is time consuming too and time taken away from writing. The best thing is, as happened recently, someone who had bought and enjoyed Streets on a Map, came back and bought another copy for a relative. 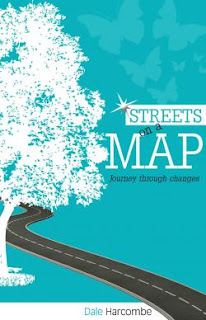 There have been several instances where people have bought multiple copies for family or friends after having read Streets on a Map themselves. In the long run word of mouth about a book is the best advertisement. Dina Rae is my guest for today. She answers my inquisitive questions about her writing. First, here's a bit about the author. Dina Rae is a new author that is here to stay. As a former teacher, she brings an academic element to her work. Her research on the Yezidi religion and love of art inspired her story telling for Halo of the Damned. Her other novel, The Last Degree, is a fictionalized account of the Freemason’s role in the New World Order. Dina's grandfather was the Most Worshipful of his lodge. The subject has always held a personal interest. Dina lives with her husband, two daughters, and two dogs outside of Chicago. She is an avid reader, tennis player, movie buff, and self-proclaimed expert on conspiracy theories. A. For me, the concept always comes first. I have always preferred plot over characters. I'm drawn to action-packed books filled with clues, facts, etc. Am blown away by Dan Brown, Brad Thor, and Preston and Childs. However, the books that I think about long after they've been read are the ones with strong characters, particularly Nicholas Sparks, Stephen King and Anne Rice. They know how to make the reader care. Q.2. Name one quality your main character has that you lack. A. My main character of Halo of the Damned starts off like me, insecure. She gets released from prison and starts a new life with her sister. But by the end of the novel, she becomes very powerful and takes matters into her own hands. I wish I could be that fearless. Q.3. At what point in life did you begin to see writing fiction as a strong part of who you are? A. I was laid off a year and a half ago. While I'm looking for a teaching job, I always wanted to be an author. I wrote two books and they both were picked up by two different publishers. I call it making lemonade out of some lemons that were given to me. Q.4. Do you like to talk about works in progress? If so, tell us a bit about a current or future project. A. I am currently writing a third book about a Haitian bokor who teaches two teens the dark arts. It's the first book that I've written where the characters have become more important than the plot. And like the other two books, I use a great deal of research. Q.5. When writing dialogue, do you “hear” it in your mind’s ear? A. Interesting question-the answer is usually yes, but there are times when I want to introduce research into the chapter and I use dialogue as a prime way of doing it. Other times when there is too much text, I break it up with dialogue. I also like to use dialogue as a way of describing the characters. Q.6. Do you have a specific Achilles’ heel when it comes to writing? A. I like to use certain words far too often. Grateful for Thesaurus! Q.7. What do you see as your main strength in writing? A. I like books with research woven into the plot. I use research and facts to back up the storyline.